Originally, Hereditary was supposed to be three hours long, states director Ari Aster. Naturally, the film had to be edited down and Aster claims that they took 30 scenes out to whittle the runtime down to just barely over two hours. Out of the 30 scenes that were cut from the movie, 9 are available on the Blu-ray edition, which hits stores next week. One of the aforementioned scenes has just been released online, and it provides some pretty heartbreaking foreshadowing. The recently released deleted scene from Hereditary features Peter and Charlie arriving at the big party. Charlie does not want to go in, and tells Peter to go ahead and go by himself. Charlie and Peter get into a bit of an argument, with the older brother still trying to get her into the party. The scene is brief, less than 30 seconds long, but it's almost as if Charlie knows that she's not supposed to go into the party. If you've seen the movie, you know what happens next, if not, it won't be spoiled here. 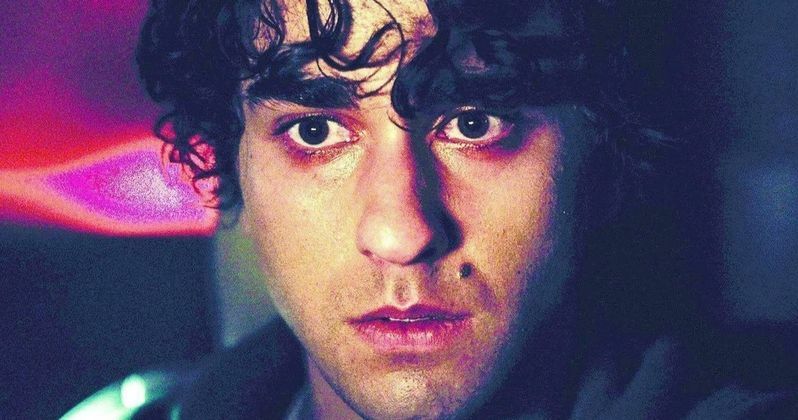 Hereditary has been praised by fans and critics for its unexpected twists and turns, with some even calling it the scariest movie of 2018. That fact is debatable, but there are some pretty little awesome tricks that Ari Aster and Milly Shapiro devised to set the movie apart from other horror films. Shapiro used a particular tongue click to create the jarring sound effect that scares the hell out of viewers. 16-year old Shapiro says that they had a full meeting dedicated to finding the exact right sound and settled on the tongue click. The tongue click gives Hereditary its own unique creepy sound, that confuses audiences at first. Milly Shapiro says that the sound is "very subtle" and keeps the movie from getting too "cheesy." Shapiro went on to name some cliché sounds that have been used in horror movies over the years, like the toy falling down the stairs, or even some writing on the wall to announce her presence. In the end, Shapiro and director Ari Aster's long meeting about creepy sound paid off for them both. When recently speaking about Hereditary, Ari Aster stated that most of the footage that was trimmed from the movie was completely necessary, stating that the original cut was "too demanding" and "less of a mainstream" project. Instead of alienating a large bit of the audience, Aster went to work to trim the fat, which he says were some of the more quiet and emotional scenes to begin with. You'd think that the Blu-ray edition of Hereditary would come with the original cut that Aster is speaking of, but it's not included and the same can be said about a possible director's commentary that many were hoping for. The deleted scene from the Blu-ray edition can be seen below, thanks to Collider.